Stuart Siegel, M.D., is the Associate Director for Pediatric Oncology at the USC Norris Comprehensive Cancer Center. He is the Head of the Division of Hematology-Oncology in the Department of Pediatrics at Children’s Hospital Los Angeles (CHLA) and Founding Director of the Center of Excellence in Cancer & Blood Diseases at CHLA. He is also Professor and Vice Chair of Pediatrics at the Keck School of Medicine of USC. He is internationally known for his research on acute lymphoblastic leukemia, non-Hodgkin's lymphoma, neuroblastoma, new agent trials, supportive care of pediatric cancer patients and the effects of childhood cancer on adult survivors. The recipient of numerous national awards, Siegel was honored in 1996 with the establishment of the Stuart E. Siegel, M.D., Chair in Pediatric Oncology at Children’s Hospital Los Angeles and the Keck School of Medicine. 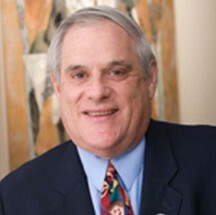 Dr. Siegel has served as the President of Ronald McDonald House Charities of Southern California since 1978, and has been on the Global Board of Ronald McDonald House Charities since 1988. He also chairs advisory boards of the National Childhood Cancer Foundation. He is the author of numerous peer-reviewed articles and reports in the area of clinical research in pediatric cancers, serves as Co-Chair of the Standards Task Force and is a member of the Steering Committee of the Livestrong Young Adult Alliance. As Associate Director for Pediatric Oncology, Dr. Siegel is responsible for the overall coordination and integration of pediatric oncology components. He has direct oversight of the pediatric components of the Developmental Therapeutics, Leukemia and Lymphoma and Tumor Microenvironment Programs. 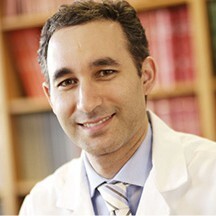 Dr. Daneshmand earned his medical degree at the University of California, Davis and completed his residency at the University of Southern California (USC) followed by a two-year fellowship in Urologic Oncology at the USC/Norris Comprehensive Cancer Center. He spent almost 6 years at Oregon Health and Science University where he established the Section of Urologic Oncology as a center of excellence for treatment of bladder and testis cancers and earned early promotion to Associate Professor. He was then recruited to USC Institute of Urology as Director of Urologic Oncology in 2010. His main clinical and research interests include testicular cancer, bladder cancer, and advanced kidney cancer. He has extensive experience in urinary diversion and reconstruction following surgical removal of the bladder (radical cystectomy) as well as nerve-sparing retroperitoneal lymph node dissection (RPLND) following chemotherapy for advanced testis cancer. He is the highest volume surgeon for this disease on the west coast and has been selected as one of “True Experts” on the Testicular Cancer Resource Center web site. He also have extensive experience in the management of advanced kidney cancers with vena caval tumor thrombus involvement, as well as prostate cancer, retroperitoneal sarcomas and surgeries requiring replacement of the great vessels. He has been elected to the Alpha Omega Alpha medical honor society, and has been designated one of the “America’s Top Cancer Doctors” and “America’s Top Urologists” and “America’s Top Doctors” for the past 5 consecutive years. He is an active member of the Society of Urologic Oncology, has presented over 200 abstracts at scientific meetings and have authored over 180 peer-reviewed articles, reviews, and chapters and is a reviewer for numerous urology journals. TH!NK DIFFERENT Foundation is a 501(c)3 • © 2019 TH!NK DIFFERENT Foundation.